To understand the logic of the construction of Europe from its origins. To know the relative chronology of the EU treaties. To learn about the main contributions of each of the treaties to the process of European Integration. To understand how the procedure for taking decisions within the EU works. The process of European Integration has its origins in the Schuman Plan, which was presented on 9th May 1950. In it, Robert Schuman, inspired by Jean Monnet, stated that the construction of Europe would not be achieved in a single move but would require a series of specific actions. This plan sought to coordinate the production of coal and steel within Europe; the idea was for it to be managed by common institutions. This was the objective behind the signing of the Treaty that set up the European Coal and Steel Community (ECSC) in 1951. This first treaty was signed by France, Germany, Italy, the Netherlands, Belgium and Luxembourg. 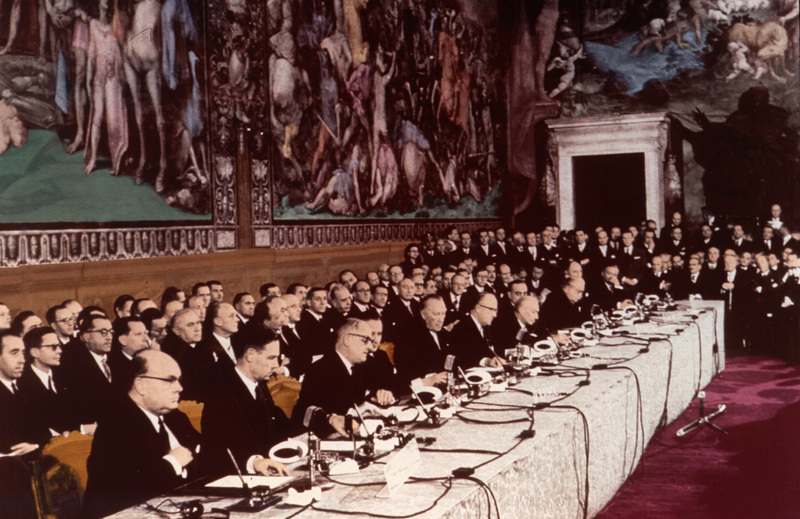 In 1957, this same group of countries signed the Treaties of Rome which opened the door for the creation of the European Economic Community (EEC) and the European Atomic Energy Community or EURATOM. The objective of the EEC was to create a common market based on the freedom of movement of people, good and services and the convergence of the political economies of the member states. Along these lines, in 1968 customs duties were abolished between the countries of the EEC. At the same time, the first common policies relating to agriculture and trade were introduced. On the other hand, the objective behind EURATOM was to promote the pacific use of nuclear energy in Europe. The Merger Treaty or Treaty of Brussels came into effect in 1967. The objective was to merge the existing institutions because at the time, the EEC, EURATOM and ECSC had an independent Commission, Council and Assembly. The treaty that set up the EEC, which was adopted in 1957, made it possible to remove the customs barriers within the Community and to establish a common customs tariff that would be applied to all goods from non-community countries. This objective became a reality on 1st July 1968. However, customs duties were just one of the protectionist barriers to cross-border trade within the group of countries that formed the EEC. In the 1970s, the existence of other obstacles to trade and which obstructed the free circulation of people, goods and capital also became evident. These obstacles, referred to as non-tariff barriers, could be summarised as follows: technical norms, rules on health and safety and national regulations governing the right to undertake certain professions. 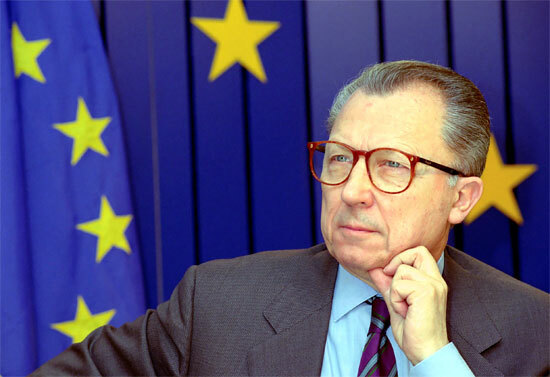 To rectify these malfunctions within the common market, in June 1985, the European Commission, presided over by Jaques Delors, published a White Paper with a list of things that it wished to abolish within a space of seven years, which included all of the physical, technical and tax barriers restricting free movement within the EEC. The objective was to promote industrial and commercial expansion within a large, single market that could compete with the US market. 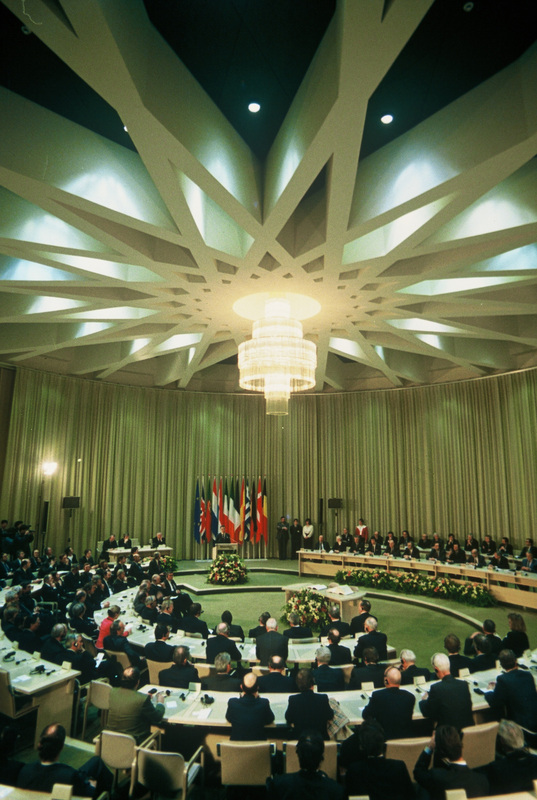 The Treaty of Maastricht came into effect at the same time as the single market, in 1993. From this moment onwards, it is possible to speak of a genuine European Union, with the addition of intergovernmental cooperation in such areas as foreign policy and internal security. This treaty also had the mission of preparing the Monetary Union and introducing elements of political union. The Treaty of Amsterdam came into effect in 1999. It sought to reform the EU institutions in preparation for the arrival of new countries and particularly those from Central and Eastern Europe. It was also agreed to base more and more decisions on the vote of the majority of the members of the EU Council. Albeit to a limited extent, the possibility was introduced for groups of at least eight states to advance at different speeds through processes of enhanced cooperation. The Treaty of Nice which came into effect in 2003 tried to reform the EU institutions so that the EU could work efficiently following the entry of the countries of Central and Eastern Europe. To do this, it modified the number of votes given to each member state and also the voting system within the Council of the EU. It modified the number of elected representatives in the European Parliament and their distribution amongst the member states. It changed the composition of the European Commission. It also proposed clarifying the competences between the regions, the states and the EU. At the end of 2009 the last of the treaties came into effect: the Treaty of Lisbon, which introduced the figure of the President of the European Council and the High Representative of the Union for Foreign Affairs and Security Policy (HRUFASP). Treaty on European Union (TEU). Do you think that it is possible to advance any further with the process of European Integration? Would you return any of the EU competences to the member states, or vice versa?